Sizzix-Thinlits Dies. Thinlit dies offer a variety of affordable solo options or multi die options. Thinlits are easy to use and are compact and portable. These dies are compatible with Sizzix BIGkick, BigShot, Vagabond and Big Shot Pro. This package contains thirteen dies. 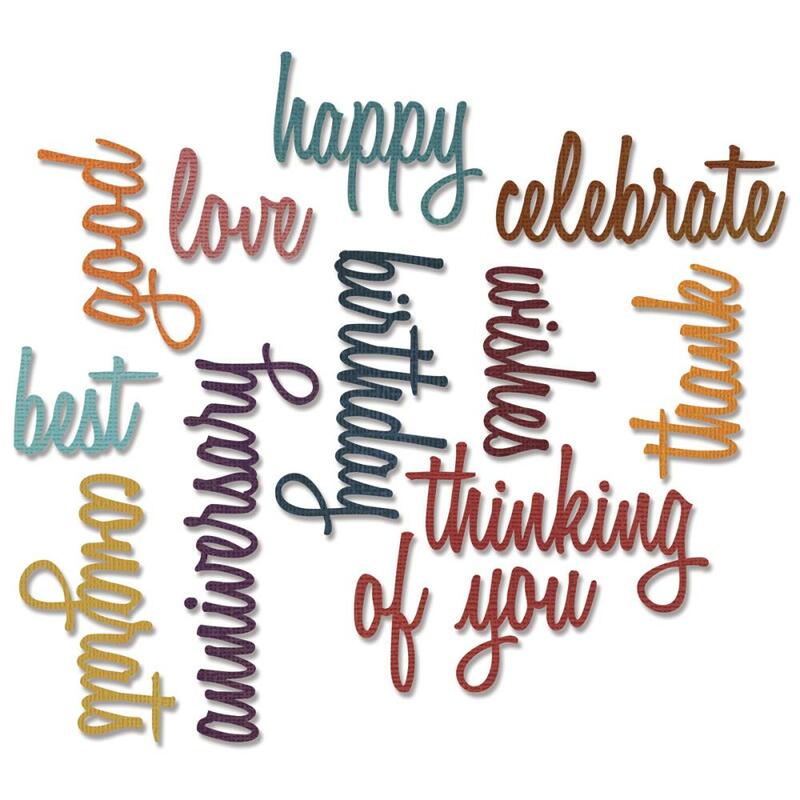 Design: Celebration Script Words (measuring between 3/4x1-1/2 inches and 3-1/2x1-1/4 inches). Designer: Tim Holtz.